This Mustang of the Moment goes to M6G member Bongsu and his 2016 Mustang EcoBoost. 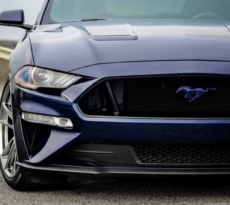 This is one Mustang owner that went from the GT to the EcoBoost with no regrets. 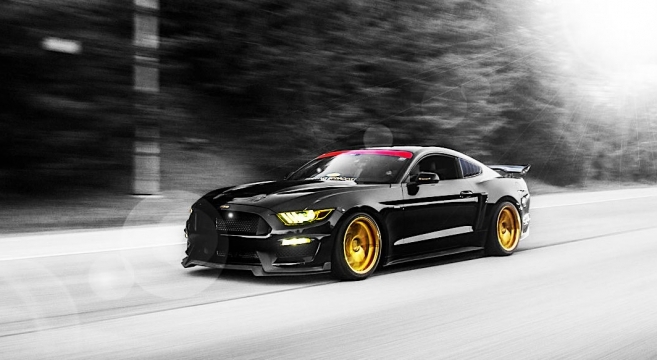 His performance packaged 2016 Mustang EcoBoost Premium in Shadow Black features some of the most dramatic and striking modifications we’ve seen on an S550 including the Ikon Motorsports GT350 front fascia, APR Drag GT-C Wing, Roush quarter panel side scoops, and AodHan DS02 19×9.5 Wheels in Gold. 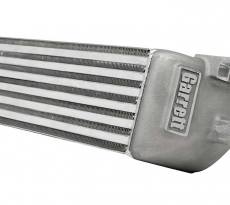 Engine modifications include a COBB Accessport V3 ECU upgrade, Levels Performance Race Intercooler, PR Dual Valve Catch Can System and cp-e Exhale Cold-Side 2.75in Intercooler Pipe with HKS SSQV blow off valve. 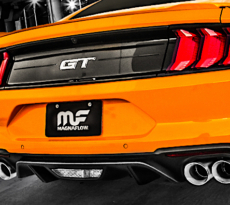 Check out this Mustang of the Moment build journal in the forums.